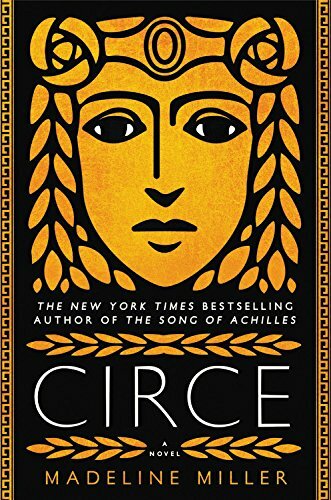 1) Circe struggles to find a place for herself as a woman in a man’s world. What parts of her experience resonate with modern day challenges that women face? 2) A central theme of Homer’s Odyssey is a longing for “nostos”—homecoming. In what way does that theme resonate with Circe’s story? 3) How does Circe’s encounter with Prometheus change her? How does it continue to affect her actions? 4) Throughout the novel Circe draws distinctions between gods and mortals. How does Glaucus change when he becomes a god? 5) Circe wonders if parents can ever see their children clearly. She notes that so often when looking at our children “we see only the mirror of our own faults.” What parts of herself does she see when she looks at Telegonus? What are her strengths and weaknesses as a parent to him? 6) Circe’s sister Pasiphaë begins the novel as a major antagonist. How does our perspective of her change after Circe’s visit to Crete? 7) How does her time with Daedalus affect Circe? 8) Circe begins the novel feeling very close to her brother Aeëtes. Why do their paths diverge so wildly? Why do you think he make the choices he does? 9) Circe tells us that she recognizes parts of herself in Medea. In what ways are the two women similar? In what ways are they different? 10) Circe says to Telemachus “Do not try to take my regret from me.” What does she mean by that? What role does regret play in the novel? 11) Circe says that when she first meets Odysseus he seems “nearly familiar” to her. Why does she say that? Who, if anyone, does he remind her of? 12) What is the significance of Circe’s meeting with Trygon? How does it impact her emotional journey? 13) There are numerous references to crafts in the novel, including weaving, carpentry and metal-working. What role does craft play in Circe’s story? 14) Circe is interested in Penelope from the moment she hears about her from Odysseus. What draws her to Penelope? Does this change over time? 15) Were you surprised when Telemachus refused Athena? Why or why not? 16) Circe encounters several famous figures from Greek myth. Were any of their portrayals surprising? 17) How does Circe’s relationship with her father change over the course of the book? What do you make of their final conversation? 18) We see numerous powerful characters abusing their positions throughout the story. Are power and abuse necessarily connected? Are there any models for power without cruelty in the novel? 19) Circe’s gift is transformation. How does she transform from the beginning of the novel to the end? Why does she ultimately choose the path she does?